Whether you want to learn for fun, or you are a serious musician looking to take your playing to the next level we design & plan a lesson programme to help you reach your goals. Lessons are structured to guarantee your best possible progress. 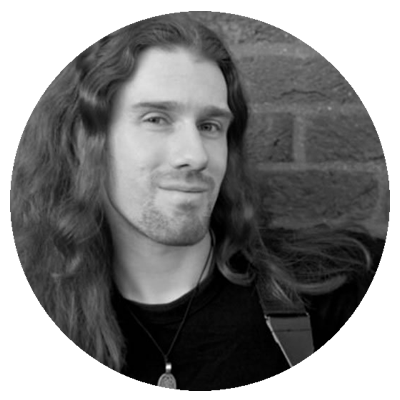 Why learn guitar at Southampton Guitar Academy? There are a lot of other guitarists advertising guitar lessons in Southampton. With all this choice it can seem overwhelming finding the right teacher for you. Most teachers teach from lesson to lesson and don’t make plans to help you progress long term. From the moment that you enroll for lessons we sit down together and make a detailed plan of your short term and longer term goals, and every few months we evaluate your progress. This helps you to make much better progress faster. Most teachers won’t record a students progress, only teach songs and will often ‘wing it’ from lesson to lesson. Some teachers may even forget what they taught from lesson to lesson. Not only do we record each and every lesson to chart your progress, but you will receive an detailed email lesson report with helpful notes on how to best practice and prepare for your next session. Most teachers only teach lesson to lesson, and the support stops once the lesson ends. 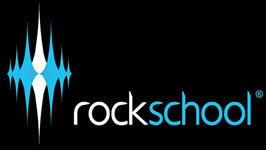 Student on-line account to access lesson notes, practice logbook, resources & more. Video tutorials available to re-enforce lessons in studio. Free ear training program worth over £30. Huge discount on quality software. High Quality software can make learning at least twice as effective as traditional music lessons. The combined value of these resources is worth far more than the price of an individual lesson, and is included completely free as part of our learning service. Most teachers do not offer a money back guarantee with their teaching service. At SGA we go beyond just offering a money back guarantee. 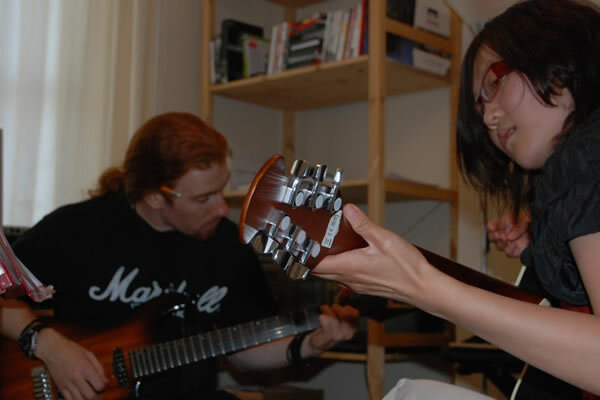 We are so confident that you will love learning guitar with us that we also offer to pay for you to take a lesson with one of our competitors in the highly unlikely event that you are not totally satisfied by the quality of our teaching service. (terms & conditions apply). How To Learn Guitar the Smart Way! Learning music is a long term pursuit, and choosing the right teacher to nurture your abilities is an important investment to your enjoyment of making music and achieving your dreams. 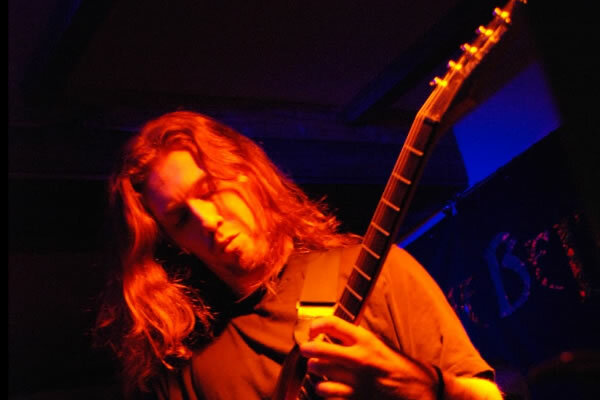 Becoming the guitarist you want to be takes time and dedication. You will feel like a you have a large mountain to climb, but to get where you want to be you take one step at at time. With the right mentor you will get there much faster and have more fun along the way, avoiding many of the frustrations and pitfalls that most self taught guitarists fall into. We are so confident that you will enjoy learning guitar with us that we offer you this unbeatable “better than money back” guarantee…. In the highly unlikely event that you are not totally happy with our service we will not only refund your lesson fee. We will also pay for you to learn with one of our competitors. We are the first and currently the only music educator in Southampton that actually dares to make this offer because we are extremely confident that you will love learning with us, and we want you to get the best possible guitar learning experience in Southampton totally risk free. 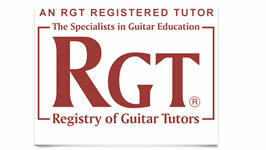 Do we offer the best guitar lessons in Southampton? Read reviews from our students and their parents and find out what they have to say about us. **Guitar is taught up to grade 8 (advanced) level. Bass is taught up to grade 5 (intermediate) level.